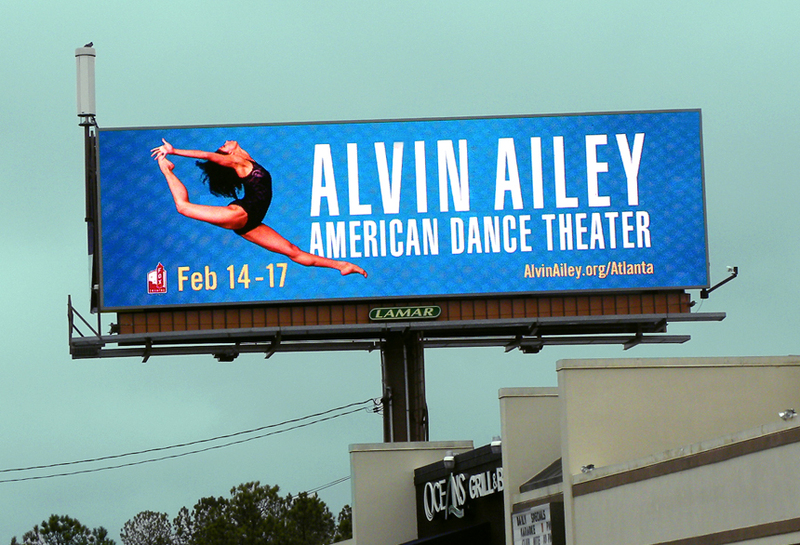 Alvin Ailey American Dance Theater used Lamar Digital Billboards to advertise a specific event. The ease and speed with which digital billboards can be posted allows for event advertising. Through the use of digital, a market can be saturated with a message for a specific event that is coming up.